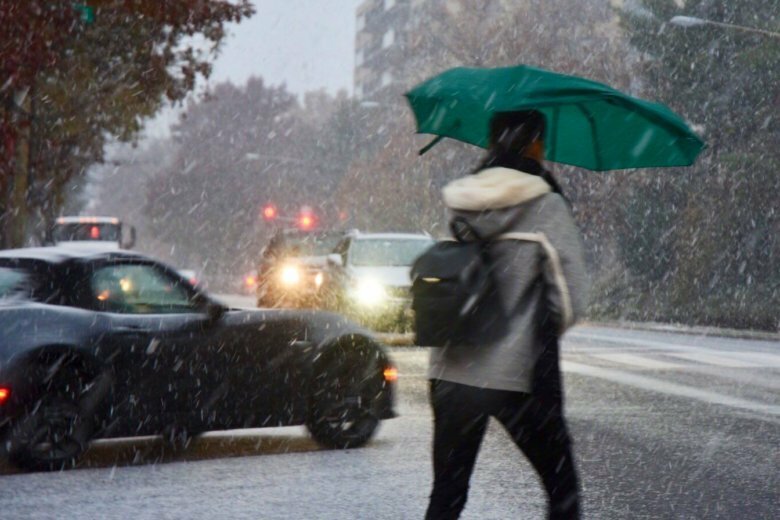 Last week's snow and rain pushed D.C. to become the fourth wettest year on record. Now the city is inches away from the all-time record set back in 1889. WASHINGTON — The nation’s capital has had a rainy year, but 2018 could very well turn out to be the wettest ever recorded in the city. Last week’s snow and rain pushed D.C. to 58.58 inches of precipitation for the year. That means 2018 is now the fourth wettest year on record in the District. “The record is 61.33 inches for the entire year, so we’re just under 3 inches away from hitting that record,” said National Weather Service Meteorologist Cody Ledbetter. To be exact, the city is 2.76 inches away from the record, which was set back in 1889. Ledbetter said that there’s a “pretty good chance” the District will break the record, with the rest of November and all of December to go. “There are no guarantees, but definitely with the number of storms that we’ve had come through the area, it wouldn’t surprise me,” he said. The National Oceanic and Atmospheric Administration (NOAA) has precipitation data for the D.C. area going back to 1871. In the first 100 years of record keeping, any year that totaled more than 50 inches of precipitation was well above normal. Based on almost 150 years of data, a normal amount of wet weather for the D.C. area is just under 40 inches. This year’s data come from Reagan National Airport, but other parts of the region received plenty of rain this summer, too. Dulles International Airport, for example, received 12 inches more rain than usual. “The majority of the reason we’re so close to the record is the very wet spring and summer period that we had,” Ledbetter said. The months of June, July and August produced more than 20.13 inches of rain. The last time the summer was that wet was in 1933, when the area received 20.5 inches. The last time the Washington area received more than 50 inches of precipitation was in 2003, when the year’s total was 60.83 inches.